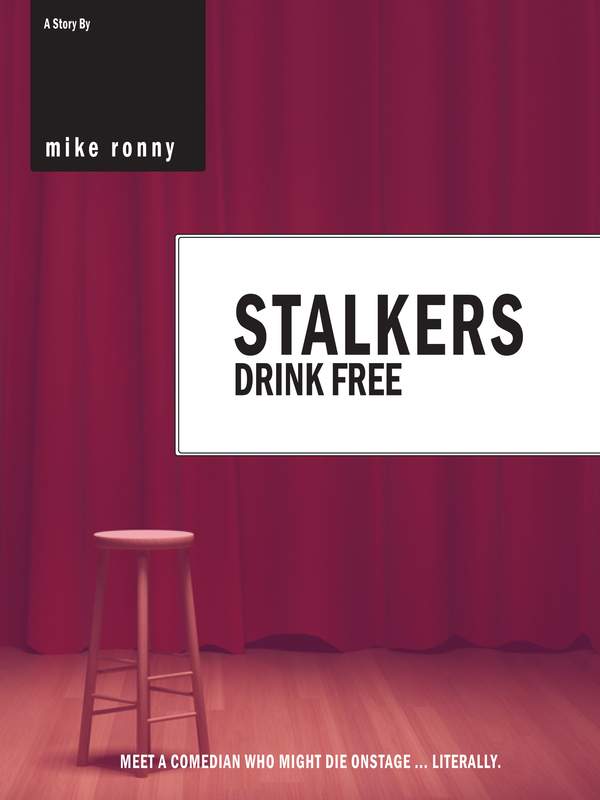 Our guest author for Indie Month today is Mike Ronny, author of Stalkers Drink Free. Check out the intriguing blurb for the book here and then find out more about the man behind the words in our spotlight author interview. Like all aspiring stand-up comics, John Izor’s used to tough crowds and hecklers. But a deranged fan who wants to kill him? Open-mike nights just got a lot scarier. I haven’t gotten all that many reviews yet, good or bad, but I think the key to dealing with bad reviews is preparing yourself ahead of time. Accept that negative opinions from readers are a part of the process. And when you finish a story, spend a few minutes trying to imagine the worst things people could possibly say about it. Then, when a bad review does come, it might not seem as bad. Getting together with a group of writer friends to share experiences with bad reviews is another way to take the sting out of the experience. Bad reviews are also less painful when you truly believe in your work. Now, believing in your work doesn’t mean you think your writing is perfect. It means feeling that your story is enjoyable and meaningful, and that it represents your best efforts at the time you wrote it. I’m certainly an early bird. I enjoy being up late at night once in a while, but my brain is definitely the most active and the most creative early on. Sunrise is my favorite time of day, in fact – everything’s shining and nothing has gone wrong yet. For many years, starting when I was little, I wanted to be a stand-up comedian. As a kid, watching comics like Bill Cosby and Steve Martin on TV, and renting their videotapes, I found it unbelievable that there were people who got paid just to make other people laugh. I actually performed in a few dozen comedy shows in the Boston area from 2003 to 2006. But I eventually came to peace with the fact that the profession wasn’t for me, partly because of my answer to the previous question. In late 2010 I read a newspaper article about the independent publishing craze, something I was pretty much unaware of prior to that. The whole concept seemed irresistible: by self-publishing short stories I could – hopefully – entertain people, make them laugh, provide them some escape on a bad day. And no rejection letters are involved! My favorite movie quote comes from the end of Back to the Future Part III, when Marty McFly shows Doc Brown a piece of paper from the future that’s been erased – Marty’s girlfriend Jennifer is standing next to him – and Marty asks Doc what it means. The Doc says, “It means your future hasn’t been written yet. No one’s has. Your future is whatever you make it. So make it a good one, both of you.” Doc Brown sounds so sincere when he says these lines that it always makes me believe for a moment that anything is possible. This entry was posted in Author Interviews, Interviews, May 2014 - Indie Author Month and tagged IAM, indie author month, interview, mike ronny, stalkers drink free. Bookmark the permalink.